Java 8 introduces an exciting new addition to the language - lambdas. 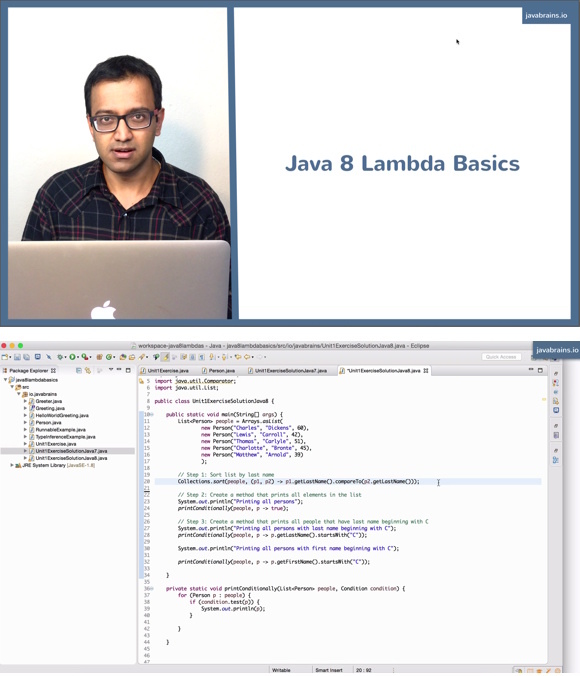 Get started using lambdas and write code using the functional programming paradigm. Learn how to use lambdas to make your code more readable and maintainable. Got clear idea on Lambda,Functional and Method Reference. Kindly start a course on streams API as well.